The Orekit library aims at providing efficient low level components for the development of flight dynamics applications. 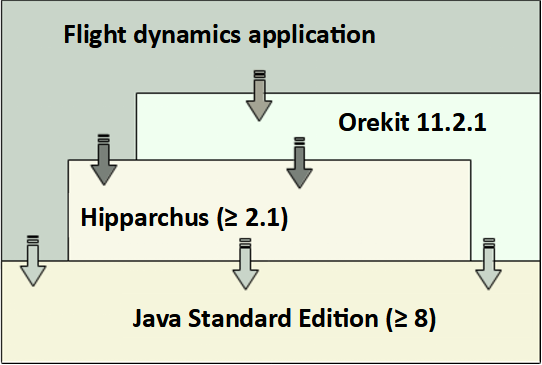 Orekit, a pure Java library, depends only on the Java Standard Edition version 8 (or above) and Hipparchus version 1.4 (or above) libraries at runtime. As a a low level library, Orekit aims at being used in very different contexts which cannot be foreseen, from quick studies up to critical operations. 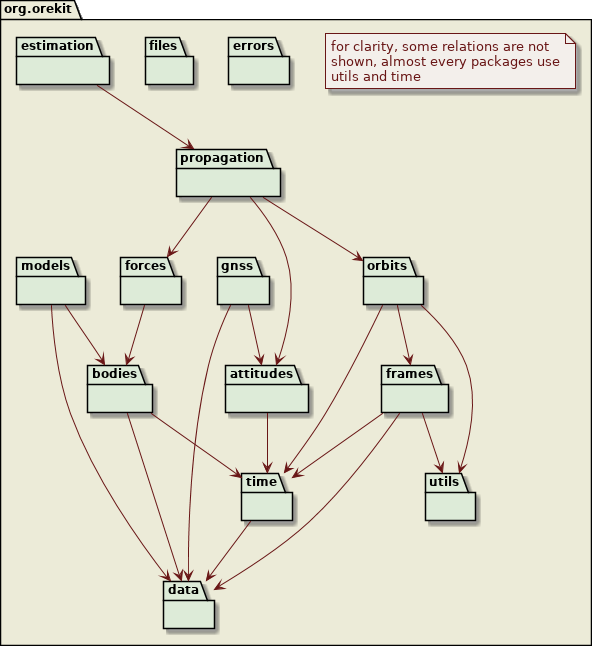 Orekit is made of twelve packages shown in the following diagram.